After concerns on Alabama giving him a Grayshirt, Riley Cole has decided to decommit. He was a long time in-state recruit from Oneonta, Alabama who did not want to sit out a year. Charles Baldwin is considered one of the top Junior College recruits in the nation and is an early enrollee. He has excellent raw physical tools to be a top college football offensive lineman. 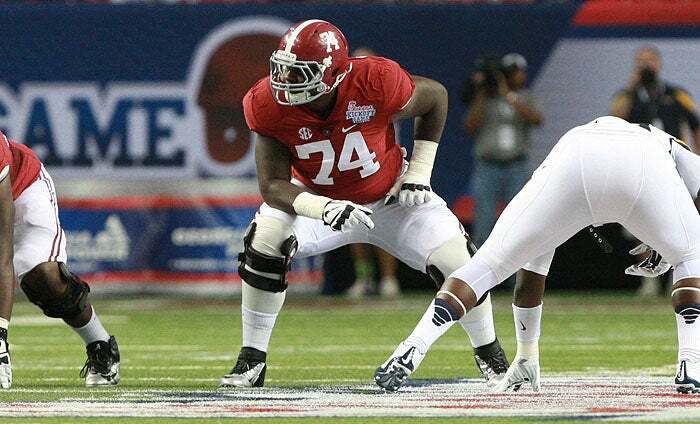 Getting in to Tuscaloosa early, Baldwin has a chance to step in right away and take over the right tackle job. This is one of the biggest gets of Alabama’s class. Jonah Williams is also a highly rated early enrollee that will have the benefit of spring football. He has very good athleticism and size for a tackle. Williams will have to continue to develop technically, but plays with a solid base in pass and run protection. He will try to compete for a starting role, however I think he will most likely be groomed for a tackle position when Cam Robinson leaves. Ranked by many as the top running back in the nation, Bama adds quality depth for next season with B.J. Emmons. Emmons has the ability to contribute right away with his college ready size. He will still have to improve as a receiving back, but has the speed and strength to run between the tackles. Next year the Tide should roll with the three young running backs of Scarbrough, Harris and Emmons. Kendall “The Hulk” Jones is a massive human being that could develop into a great defensive tackle. Even though he is big, he has surprisingly good movement skills. He has a really good power rush and he is stout in the run game as well. Look for him to be a clog in the middle for future Alabama defenses. Nigel Knott is Alabama’s first cornerback commit and a great addition. Knott has great speed and ball hawk ability to contribute to the Tide. He does only have a slight build on him now where he will have to put on weight before seeing the field. Knott could have a specialized role next year and down the road he should develop into a starting cornerback. After a few weeks of wavering on his commitment to Alabama and mulling a flip to Mississippi State, Davis announced he is sticking with the Crimson Tide. Davis has phenomenal size and strength as he gives Alabama depth along the defensive line. He will need to develop better as a pass rusher, but is stout against the run as he uses his strength to anchor. Davis has a chance to play early, but my the end of his career he should be a regular along the defensive line. Trevon Diggs is a top rated wide receiver that will help the Tide’s depth. He is the brother of Stefon Diggs who is a wide receiver for the Minnesota Vikings. Diggs is also versatile enough to play corner or safety. He has excellent length and speed to be a special defensive back as well. Diggs should develop into a nice wide receiving threat down the road or a very good defensive back. Deonte Brown is a massive Offensive Guard that carries his weight well. He could develop into a nice interior offensive lineman for the Tide down the line after Alphonse Taylor graduates. Hurts is a talented dual-threat quarterback for this class who could develop into a starter late in his career. He has a bit of development to do coming from a simple high school offense. However, he shows good arm stength and build to eventually become a good quarterback. Hurts is also an early enrollee. 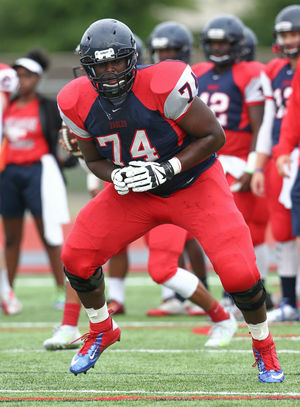 Chris Owens is another nationally ranked offensive guard that is very mobile. He has a great combination of power and athletic ability where he will be able to compete for playing time down the road. Quinnen Williams fits the Alabama system perfectly as a tweener between being a defensive end and defensive tackle. He’s not much of a pass rusher, but he wins with strength. Look for him to be a defensive end in Alabama’s 3-4 defense. Alabama gains a much needed offensive tackle for depth. Lashley has a high ceiling and has the ability to be developed into the next starting tackle. He has a big body that will continue to develop and raw pass protection ability. It was a huge win for Alabama, getting another recruit from the state of Mississippi. Aaron Robinson is a long cornerback who will need to gain weight in the weight room. He can play both wide receiver and cornerback as he is a very good athlete at this stage. It will be a few years down the road before he sees the football field, but look for him to add solid depth at both positions. Forristall will have to fill out more before he will be able to make an impact. He is a very tall, skinny tight end that demonstrates great ball skills. Forristall also demostrates above average speed. With his height, he should be able to put on solid weight with the program. He will get an early start as he is an early enrollee. Simmons is a taller wide receiver that has just average speed. He does have great hands and is a very good route runner. Simmons will have an opportunity to build up strength early as he is an early enrollee. Shawn Jennings is an early enrollee that has good size and decent speed. 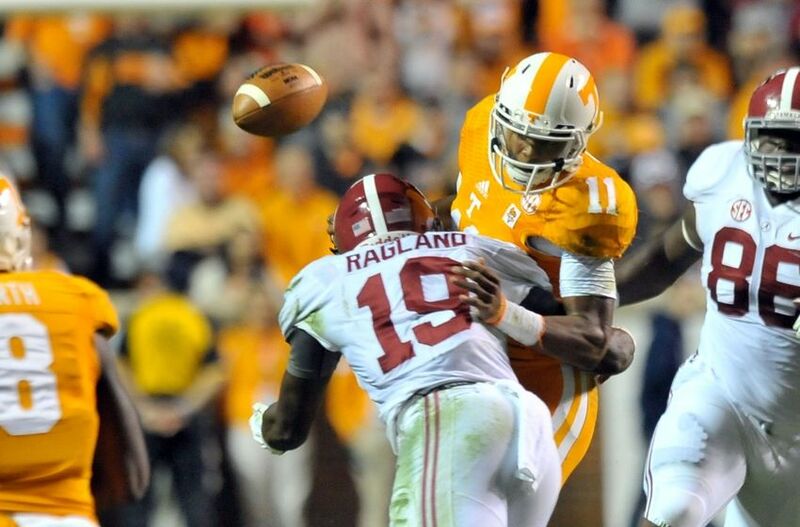 Jennings is a very good tackler, but will have to continue to develop before he sees the field. He has the versatility to play both free and strong safety. Ignore the 3 star rating, Jacobs is a very good running back that can help with the depth. He was a late bloomer in recruiting and could end up being a great steal for Alabama. Jacobs runs with a great base and makes very quick cuts. He could be the only running back based on if B.J. Emmons can become eligible. Jamar King is a JUCO transfer who was a late find in the recruitment world. 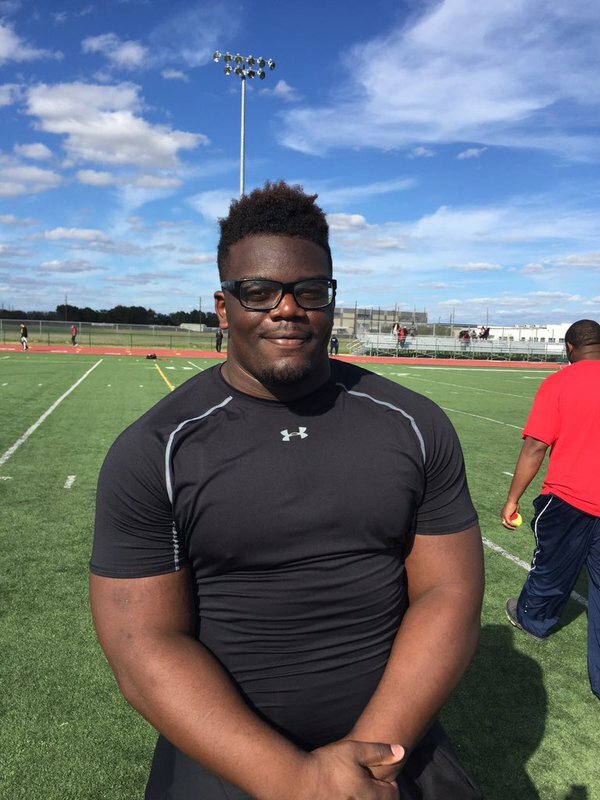 Don’t let the 3 star rating fool you, he is a very talented defensive lineman with great size and power. King adds depth right away. With less than two weeks until National Signing Day, football recruiting is in high gear as recruits are taking their final official visits. The 2016 class is a lot different than the 2015 class and it should make for an interesting day on February 3rd. The 2015 class had 23 commitments going into national signing day with only one additional commitment on national signing day. On the other hand the 2016 group currently only has 17 commits with two weeks left. Alabama’s 2016 recruiting class has a solid foundation with their 16 current commits, but Nick Saban and company still has a lot of work to do in order to finish among the top 5 classes. while Robertson will make the decision between Bama, Georgia, Notre Dame, and Stanford. Hardman was unable to take his official visit to Tuscaloosa because of weather. A.J. Brown will be tough to pull away from Starkville and the Mississippi State Bulldogs. Alabama will also be trying to pull Florida products Keith Gavin, Ahmmon Richards, and Keyshawn Young. Alabama’s big competitors for Gavin is Florida State, Richards is Miami, and Keyshawn Young is Michigan and Florida State. The last of the wide receivers is Mykel Jones who will stay in SEC country either going to Alabama, Ole Miss or LSU. more depth is needed. Asiasi and Mathis are looked at as longshots to commit to the Tide. Nick Eubanks however is looked at as a Crimson Tide favorite, but keeping the lead against Florida will be tough. Eubanks visited Tuscaloosa the weekend of January 15th. The Crimson Tide have four commitments, including two highly ranked offensive guards and offensive tackles. Alabama is considered a long shot for these offensive line recruits, but the best shot is with Jauan Williams. Williams decision will come down to the wire with Maryland, Florida State, and Alabama among others. Landon Dickerson is another possible Tide commit who had his official visit on the 22nd of January. His decision will come down to Alabama, Florida State, Florida, Auburn, and Georgia. Alabama has the best shot to finish strong along the defensive side, especially on the defensive line. The biggest get for Bama would have to be Jonathan Kongbo. The 5 star defensive end is also considering Ole Miss, Tennessee, Florida State and USC. Jeffery Simmons will be tough to pull away from the state of Mississippi with both Ole Miss and Mississippi State being the favorites. Terrell Hall was a one time Ohio State commit, but now is looked at as a favorite for the Tide. Terrell Hall had an official visit on the 22nd. Terrell Hall’s decision will likely come down to the home state Maryland Terrapins or the Crimson Tide. Kobe Jones is another defensive tackle that could choose the Tide, but it will be tough to pull Kobe Jones out of Starkville. Raekwon Davis is wavering on his commitment to the Tide as he is considering going to Mississippi State. 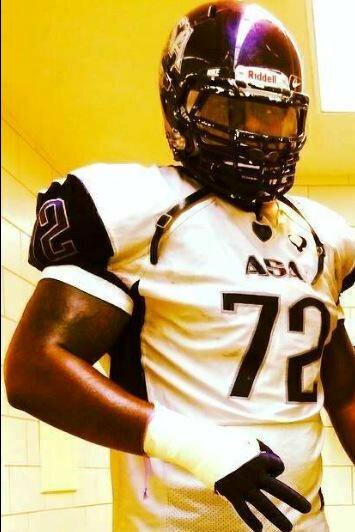 As for the uncommitted defensive tackles Jamar King is a 3 star JUCO recruit who is likely to pick Alabama. As for the other defensive tackles, Derrick Brown and Michail Carter could still end up going to the University of Alabama. Brown and Carter however are both looked at as Georgia favorites. At Outside Linebacker the Tide have 3 big nationally ranked targets with Juarez, Wilson and McCulloch. Mack Wilson is one of the top players in Alabama and the player most likely to commit to Alabama. Bama will have to hold off Florida and Georgia for the highly coveted linebacker. Alabama came on late for Juarez and McCulloch, and they got Juarez to take an official visit the weekend of January 22nd. Both however are likely to stay at in their home states with UCLA and Texas being the favorite for Juarez and McCulloch. The biggest target for Alabama this year is Ben Davis. His dad is the all time leading tackler for the Crimson Tide and Alabama is looked at as the favorite. Notre Dame and Georgia will also be challenging for the talented linebacker. Dontavious Jackson is another talented linebacker who took an official visit during the weekend of January 22nd. They will have to compete against Texas, Oklahoma and Florida State for his commitment. UPDATE: (Jaquan Yulee committed to Marshall). Defensive back is a major need as they close out this recruiting class. Alabama currently doesn’t have any cornerback recruits and only two safety recruits. Shyheim Carter and Nigel Knott are the two cornerback recruits most likely to commit to Alabama. Carter used to be an Alabama commit, but the Tide remain the favorite to bring the Lousiana product to Tuscaloosa. Georgia, LSU and Ole Miss will try to stand in Alabama’s way for Carter. Nigel Knott’s recruitment will come down to Oregon and Alabama. Knott’s family want him to stay closer to home, but Knott is a big fan of Oregon. 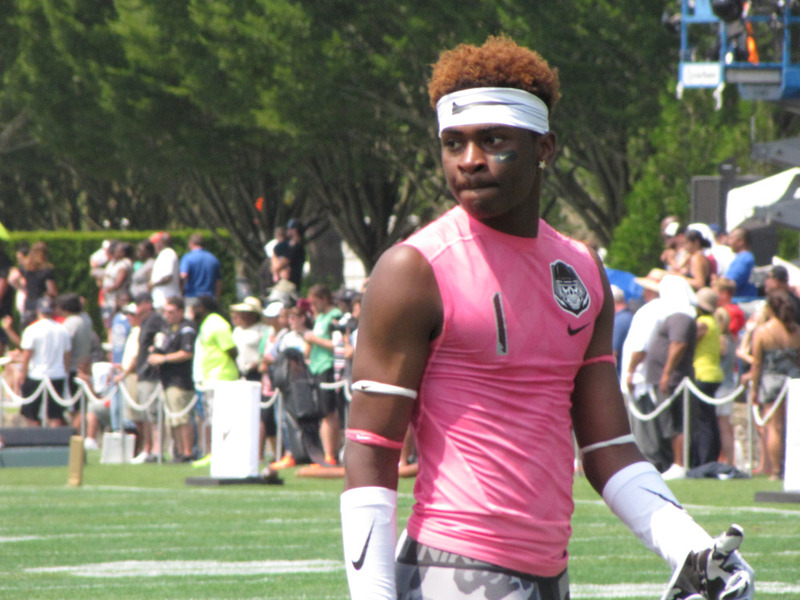 Jack Jones and Jared Mayden are two other cornerbacks that have Alabama on their list. Jack Jones is most likely to go to USC or UCLA, while Mayden will be choosing between Oklahoma and Alabama on National Signing Day. Finally, Nigel Warrior is a talented safety that is considering Alabama. It will be tough to pull him away from Tennessee where his dad played. Georgia is also a contender for Nigel Warrior. The quarterback position is looking pretty wide open following the 2015 season after Jake Coker graduates. For the incoming 2016 class Alabama ha s their quarterback in Jalen Hurts (Channelview, Texas). Hurts is the 9th ranked quarterback prospect for the 2016 class by Scout and Rivals. Alabama is currently not targeting any other quarterbacks for the 2016 class. Alabama has always recruited the running back position well and this year is no different. There is the possibility for early playing time as well with Kenyan Drake graduating and Derrick Henry likely making the jump to the NFL. Alabama already has a commitment from B.J. 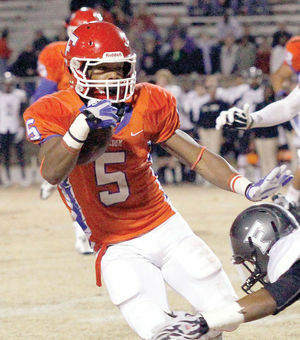 Emmons (Morganton, NC) the fifth ranked running back and 63rd overall by ESPN. As for who they are targeting you have to look in Wayne, NJ at Kareem Walker, the top ranked running back in the nation. Kareem Walker decommitted from Ohio State in October and visited Alabama for the LSU game in November. Michigan is considered the favorite, but Alabama is not far behind. Next is athlete Devin White (Springhill, LA) who plays both linebacker and running back. The 99th ranked player by ESPN is a big back at 260 pounds. The battle for White will be another classic battle between LSU and Alabama. The 15th ranked running back by ESPN Robert Washington (Mount Holly, NC) is another Alabama target. Washington is considered a longshot to sign with the Tide. Given Alabama’s young wide receiving depth and only Richard Mullaney moving on, wide receiver is not an immediate need. The Crimson Tide however do have a chance to land a solid receiving class. It is off to a strong start with the commitment of Trevon Diggs (Rockville, MD), the 123rd ranked player in the nation. The younger brother of Stefon Diggs who plays for the Minnesota Vikings, gives the class a good wide receiver to build around. Also committed to the Tide is four star T.J. Simmons (Pinson, AL) who is the 62nd rated wide receiver by Rivals. Alabama is targeting many highly ranked receiving threats, including 8 in the ESPN 300. The two most likely wide receivers that could commit to the Tide are Ahmmon Richards (West Palm Beach, FL) and Cavin Ridley (Deerfield Beach, FL). The name Cavin Ridley sound familiar? 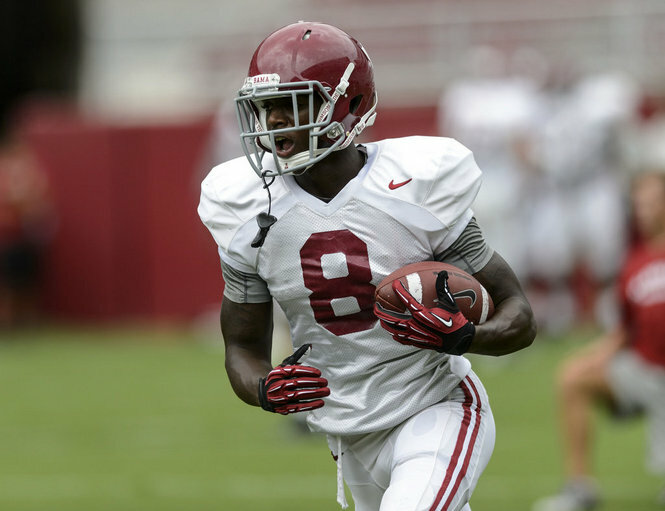 Well it should as he is the younger brother of Calvin Ridley, the Crimson Tide’s true freshman phenom. Cavin is a solid player in his own right as he is Scout’s 17th ranked wide receiver. Ridley’s final list includes Alabama, Florida, Auburn and Tennessee. Ahmmon Richards who is Scouts 14th ranked wide receiver, is also a solid Alabama lean. Richards was a Miami commit, but decomitted from them in late October. Keith Gavin (Crawfordville, FL) and Mykel Jones (Patterson, LA) are also highly rated players that are Alabama leans. Gavin has great size at 6’4 225 lbs with excellent athleticism. Gavin is the 80th rated player in the ESPN 300, as it will come down to Alabama, Florida State or Georgia. Mykel Jones will most likely come down to a classic LSU and Alabama recruiting battle. Jones is rated 269 in the ESPN 300. The three top rated receiving targets left for Alabama all are in the top 100 recruiting prospects including 29th rated Mecole Hardman, 57th Demetris Robertson, 69th AJ Brown. Hardman (Elberton, GA) and Robertson (Savannah, GA) are both likely to commit to Georgia and AJ Brown (Starkville, MS) is likely going to end up a Mississippi State commit. Other Alabama targets include Keyshawn Young (Miami, FL) and Tyler Simmons (Powder Springs, GA). With OJ Howard possibly heading for the draft, the tight end position becomes a major need as they would only return two scholarship players. 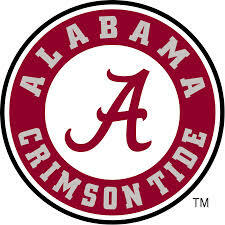 However, Alabama already has two commitments from the 11th rated tight end Miller Forristall (Cartersville, GA) and 16th rated Brendan Scales (Wildwood, MO). The Crimson Tide are not done however as they still have four highly rated targets all rated in the ESPN 300. Nick Eubanks (Plantation, FL) is the 259th rated player and will most likely come down to Florida and Alabama. There are two elite prospects that Alabama is targeting, starting with Isaac Nauta (Bradenton, FL) from the IMG Academy. The top rated tight end in the nation and the 10th rated prospect has visited Alabama, Georgia, Michigan, Ole Miss and Oklahoma State. Georgia is considered a favorite. Devin Asiasi (Concord, CA) is the 15th ranked player and leans towards hometown USC. However, he did visit the Tide for the Louisiana-Monroe game. It should be a challenge for Alabama to pull Asiasi from the West Coast. The last target for the Tide is the 191st rated player Jacob Mathis (Tampa, FL) who is likely to commit to either Michigan and Florida. Alabama recently have had great success recruiting along the offensive line and this y ear is no different. The future of the offensive line is bright next year, as Alabama will only lose two out of the five starters. For this incoming recruiting class, Alabama has four commits with two offensive tackles and two offensive guards. This includes Charles Baldwin (Windsor,CT), the top Junior College player in the nation. Baldwin should come in right away and be able to compete for the starting right tackle spot. 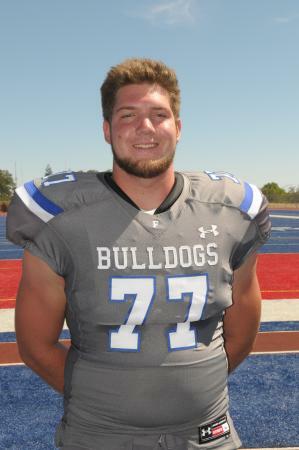 Along with Baldwin, Alabama also has another great recruit with the 32nd rated player in Jonah Williams (Folsom, CA). With Williams and Baldwin the future of the offensive tackle position looks bright. Alabama also has the 3rd and 4th ranked offensive guard with Deonte Brown (Decatur, AL) and Chris Ownes (Arlingon, TX). Overall, Alabama has built a great class along the offensive line. The recruiting class can only get better as Alabama still has blue chip targets out there headlined by Greg Little (Allen, TX). Little is the number two player in the nation and could be an instant impact player wherever he goes. 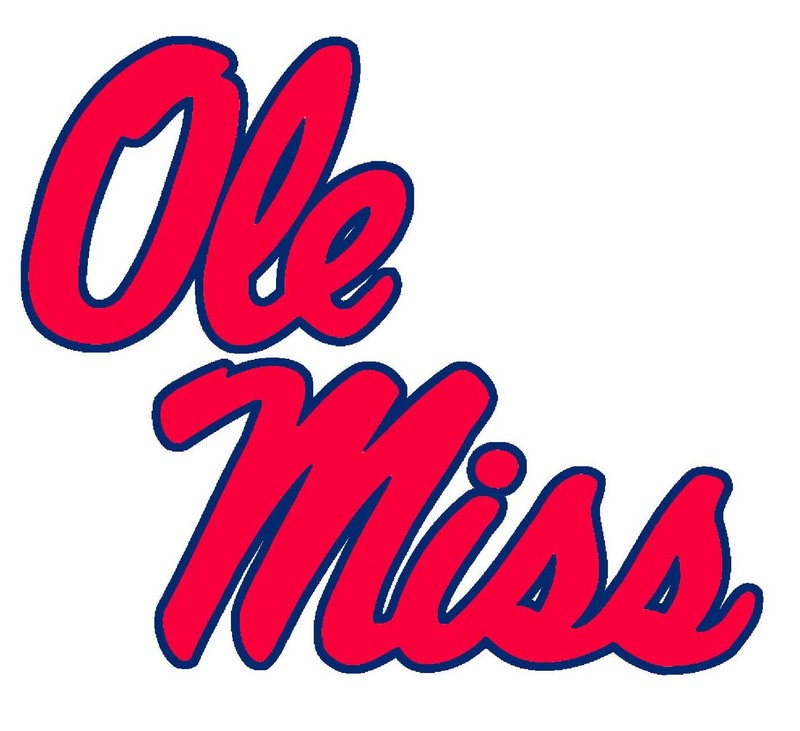 The battle for Little looks like it’ll come down to Ole Miss or Alabama. Jauan Williams (Washington, D.C) is another stud offensive lineman who could be going to Alabama. 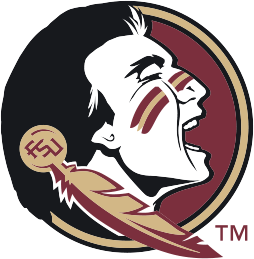 In late November, Williams cut his list to four including Alabama, Florida, LSU, and Florida State. Williams is the 65th rated player. The 90th ranked player Jean Delance (Mesquite, TX) could also pick Alabama. However, it will be tough to beat Texas for his commitment. He is also considering Michigan, LSU and Texas A&M. As for longer shots there is Javon Kinlaw (Goose Creek, SC), who is considered a South Carolina lean, and Tramonda Moore (Oklahoma City, OK) who named his final four of Alabama, Oklahoma, Oklahoma State, and TCU. Terrance Davis (Hyattsville, MD) is also a possibility as an Offensive Guard, but he will most likely end up at Michigan.